Looking for five star hotel in Yogyakarta? than you will read a recommendation from a guy who lived in this town for over than 20 years. Hi I’m Bima and thank you for visiting my blog, I live in Yogyakarta since 1991, get school in this city, married with the most gorgeous woman and develop my online travel blog to share all my experience and journey both here in Indonesia and worldwide. I travel a lot both for my wedding photography business and leisure with my wife and kids so if you looking for nice accommodation and recommended five star hotel in Yogyakarta than hope I can help you as well. Before I start this review so I will let you know a little basic introduction related to my city. Yogyakarta is a small city with TONS of beautiful culture and awesome people that will give you a nice smile no matter who you are, here we don’t care how much money in your pocket but as long as you are an awesome person than you just starting a new life to be our friend. Our city is divided into 5 region which is Kota Yogyakarta, Sleman, Kulon Progo, Bantul, and Gunung Kidul, each of them are have a potential things to see that will blown your mind. If you want to stay close in the city so just stay around Kota Yogyakarta area but if you want to see glamorous of the most active volcano in Indonesia than go to Kaliurang which is located in Sleman district and spend couple nights out there to get the most amazing mount view on your own. If this is your first trip to Indonesia than I suggest you to check Indonesia’s Visa regulation but if you coming from Southeast Asia countries than you will get a free visa. Whenever you want to learn more detail than I wrote an eBook my self that will telling you about 44 Things to do in Yogyakarta when you have less than 3 days in this town, a lot of references and suggestion that I recommend you to see. Now is the right time for telling you about my personal recommendation of five star hotel in Yogyakarta, there a lot of hotels, guesthouse or even basic B&B here in my town but business is still business so these 7 lists of hotels are great company that always make an improvement, renovation, and maintain their hospitality in a high standard. I often to go to this hotel with my whole family, we get a nice night chill out, drink a fresh milk after dinner while their live piano performance is held every night from 7 to 9 pm. If you are a person who concern about high level standard of hospitality than Melia is one of your great choice. Melia it self located only 1,5 km from prime area Malioboro so when you enjoy to walk than you can walk directly to this hotel. Hotel look classic with beautiful chandelier and cozy aroma therapy right once you walk into their front door and for me, this gonna be the best thing of Melia. Aston established around 2016 so this hotel is brand new, located in busy commercial area called Jalan Solo where locals use to be fabric businessman. There are a lot of cheap street food from day to night and Aston also has their own restaurant with cozy place and various delicious menus. I was here to get dinner and meet my client here, their lobby is cozy and really calm to get meeting with friends or business partner. Rooms are great and hotel staff also humble and super kind. Once you need hotel in a city center than phoenix will be one of the greatest hotel that you should consider, with its classic-colonialism architecture building Phoenix used to be fully booked during the holiday season. Their front door are wearing traditional Javanese clothes and welcoming you with a nice smile. Restaurant and pool side are the best place to chill out and dinner with someone who you love, highly recommended! I spend here to meet my photographer’s friends till 1 am. This hotel is amazing! they decorate and renovated all the interiors and exterior few years ago and they put a passion on it. Restaurant is awesome with various of food from all over the world and don’t miss the Punika Deli cafe, their ambiance are perfect! Rooms are so cozy even my daughter sleep so good during our weekend in Ambarukmo. Another best thing about this hotel, it located only 50 meter from Ambarukmo Plaza Mall, so you can find some food, go to cinema, or even get some coffee. I highly recommend this nice hotel for you! 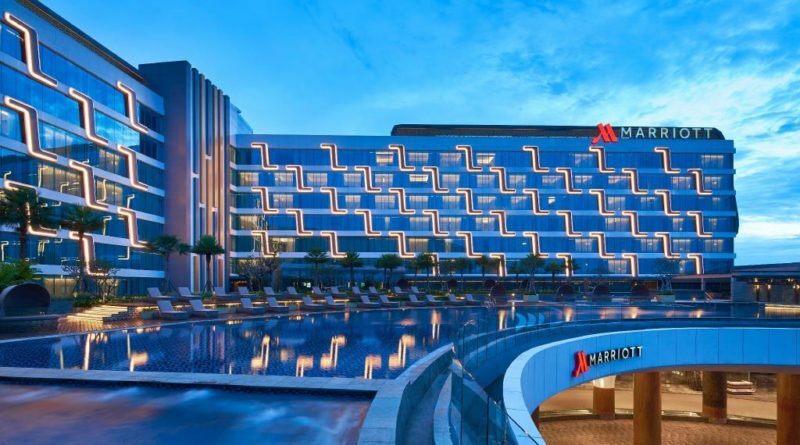 Marriot is one of brand new hotel in 2017, both exterior and interior design are excellent and it looks modern. Rooms are huge and really suitable for family and you can bet for the breakfast, menus are so vary and all of them are super delicious. It located only 3 km from Adisucipto airport so you only need 15 minutes in a normal situation to catch your flight. I love Hyatt so much, it has huge landscape park that also use for golf court, once you passing by Jalan Palagan Tentara Pelajar and turn to Hyatt border than all beautiful scenery and fresh air is coming to your lungs. If you love 5 star hotel than Hyatt Regency should on your mind, rooms are huge and breakfast menus are freakin’ awesome, go check it our the rates below and book it immediately! Idul fitri moslem holiday and new year eve will the most busy period for them. Put Yogyakarta on you travel lists now, this city is definitely worth it to visit!